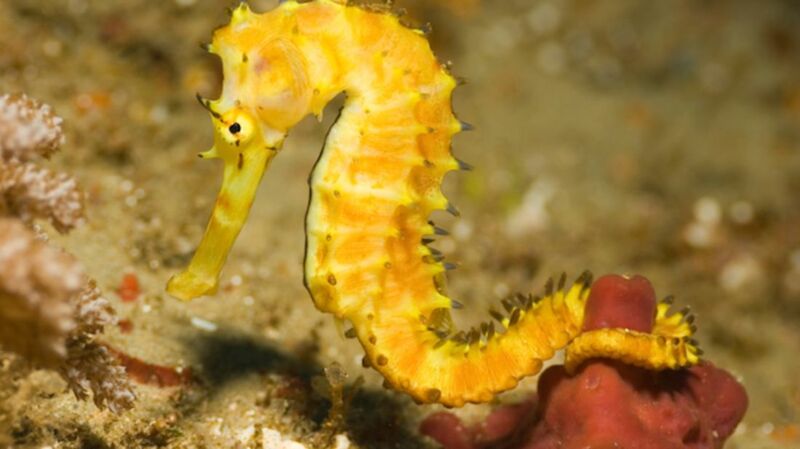 Unlike most of the other tails in the animal kingdom, seahorses' tails are square. Recently, scientists curious about this deviation from the norm found a distinct advantage to the angular shape. To study the way a rectangular prism tail compares to a cylindrical one, the research team, led by Michael M. Porter of Clemson University, 3D printed hinged models of each type of tail—and then proceeded to smash them. Their findings, published earlier this week in Science, not only provide insight into the benefits of a square-shaped tail, but could also have wide-ranging implications for modern medicine and technology. It turns out that the square-shaped models were far more difficult to crush than the round ones. This sort of resiliency is certainly advantageous when it comes to not getting eaten out in the wild, but the square shape comes in handy in other ways, too: the flat sides, which boast more surface area than cylindrical tails, give seahorses a better grip on seaweed. The boxy joints also moved smoothly for bending and twisting, providing less resistance than even the round models. These seahorse-inspired discoveries could help developers create stronger and more flexible joints for any number of applications.